On Easter Sunday, April 21, we invite you to be part of the Flowering of the Cross, an ancient and meaningful tradition that represents the transition from Good Friday to Easter, from meditation on Jesus' death to joyful celebration of the resurrection. As you prepare for Easter worship, purchase or pick fresh flowers and greenery from your garden or yard and bring them to church. When you arrive for any of our services, place your flowers on the cross that will be located in the narthex (entrance area to the sanctuary). Together we will transform a barren cross, a reminder of Jesus' death, into an Easter symbol. 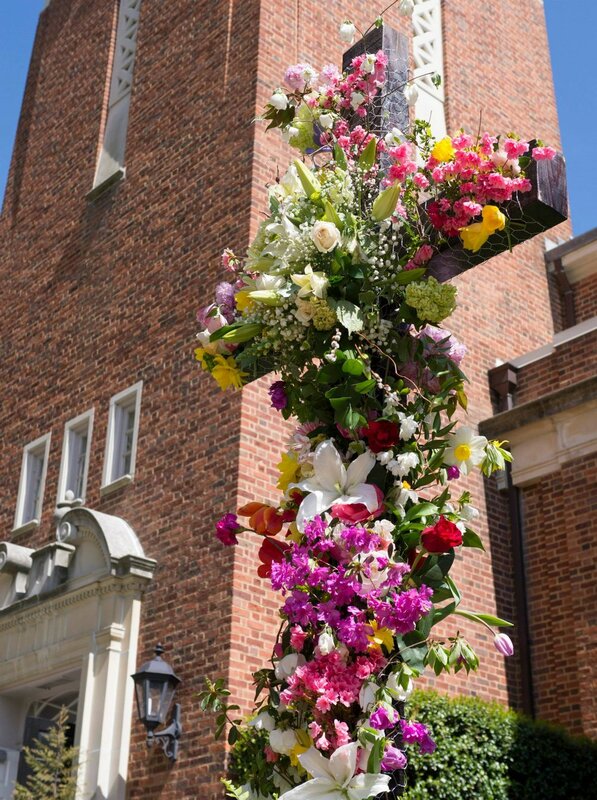 Covered with fresh, living flowers, the cross serves not only as an emblem of Jesus' resurrection but also of the continuing presence of Christ among today's Christians. Together, let us make this Easter a celebration of new life!